INTO Giving is an exemplary charity that supports humanitarian and community projects in the developing world. Charities/projects are nominated by INTO employees who also raise the funds used to support development activities. Each year the charity selects 1-2 new charities/projects for support. Nominations are assessed by the INTO Board, who act as administrators / trustees. projects in Bangladesh, Ghana, Malawi, Thailand and Lebanon support from INTO Giving improves the lives of disadvantaged and impoverished children and their teachers. In the last year, INTO Giving donated more than £75,000 to education projects in the developing world – TWICE AS MUCH AS IN 2016! In 2017, 28 projects were nominated by staff for consideration, including Bees Abroad’s Multilateral Grammar School Beekeeping Project. 6 projects were selected for support and we were delighted to learn that the Bees Abroad proposal came out joint top in the assessment process. Over three years, Bees Abroad will train two beekeeping trainers within the rural government run school. The trainers will establish a school beekeeping club to include beekeeping as a topic in the curriculum, in addition to established agriculture and animal husbandry courses. The teaching apiary with 30 top bar hives will be established in the first year (2018). The project will also train 10 pupils as beekeepers, who will build their own hives (two hives per trainee), make their own bee suits and manage their colonies on their own account. 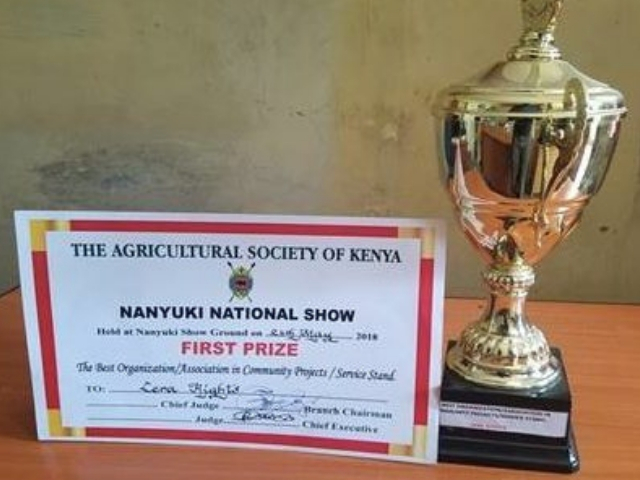 Trainees come from farming families on very low incomes which in turn leads to poor nutrition, high mortality at all ages and inadequate access to healthcare and education. INTO Giving is funding 100% of the project cost. Funding will cover the cost of delivery of beekeeping training, including training the teachers, materials needed for hive construction and personal protection equipment, provision of instructional training materials and manuals, costs of apiary establishment and harvesting equipment. 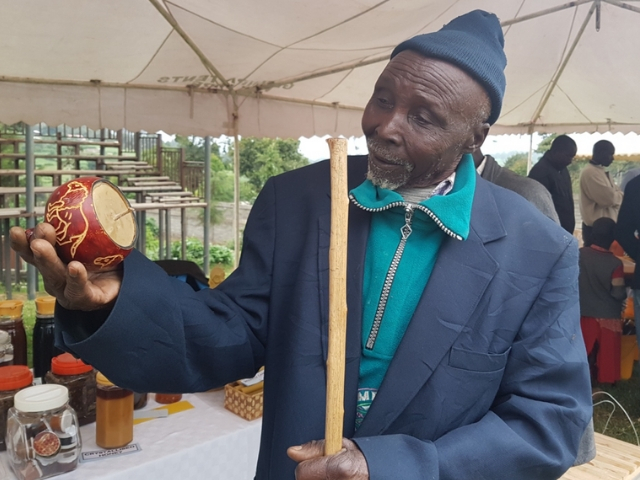 From 2020 onwards, the sale of honey and secondary products should provide an income stream for the school beekeeping club to be self-sufficient. At the school selection day, the need for income generation was evidenced when 85 students from the junior and senior school turned up to bid for ten trainee places! Some had previous exposure to the craft, for example through honey hunting. All were aged between 14 and 18 years old. They showed great enthusiasm which is important as training will have to fit around school and family responsibilities. Over 98% of these students contributed financially to their households. Some run their own skilled micro enterprises such as tailoring or carpentry; others have various paid seasonal farm jobs like peeling of cassava. In the longer term, the aims and objectives of the project will go a long way to extending the capacity of trainees to contribute to financial obligations at home. Typically, good beekeepers are naturally observant and inquisitive. We look for trainees who are aware of the environment and interested in trees, insects and plants. Those who already have some work ethic are more likely to be systematic in checking hives regularly and notice details that provide clues to what is happening in their hives, to their bees and to the local conditions. They are also more likely to be innovative – natural researchers experimenting with their own ideas and testing out ideas they have learnt or new solutions to problems. The Bees Abroad intervention is not based on handouts – trainees will be required to build or make inputs from scratch as appropriate, from local resources, to they experience the options for differentiating roles and interests within beekeeping. Roles range from carpenters building hives, to tailors making bee suits or specialisations such as producing secondary bee products or providing pollination services, or as has happened with past projects, trainees become beekeeping trainers themselves! Our focus is to train the students to be active beekeepers and manage their bee hives and not their bees. We emphasise producing more honey from each hive to increase productivity over having more hives to increase production. Our strategy requires better capacity building for the beekeepers and less investment in equipment. Training is in modern beekeeping management techniques in line with the British Beekeepers Association (BBKA) Tropical Syllabus. Bees Abroad will apply sustainable and ecological methods, for example hives and bee suits are made from local materials and there will be an emphasis on pollination, ecology and conservation. Trainees will be provided with Bees Abroad Basic and Advance beekeeping manuals for reference as well as practical hands on training in the field during the local bee season. 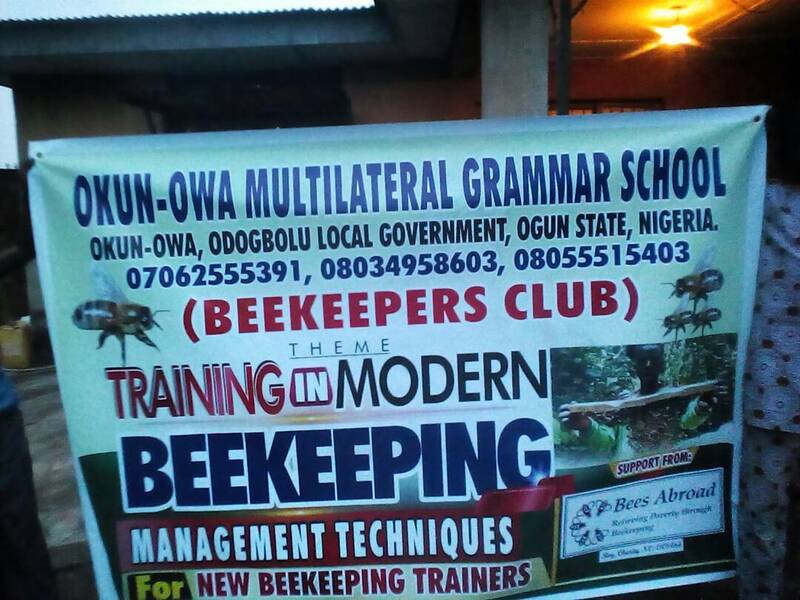 The theoretical and practical training modules will be delivered by a certified (Nigerian) Bees Abroad trainer locally, whom we have worked with successfully for a number of years. After training, students will practice beekeeping on their own account in their communities, thus creating a second income which will help to pay their school fees and support their extended families.